Keep your organisation's spending under control with Cloud Approvals. If you need to delegate spending but still want to stay in control ApprovalMax offers both flexibility and efficiency. It's designed to be extremely easy and highly intuitive to set up and use and you can check it on the go. ApprovalMax helps to improve accuracy and gets rid of approval paper trails. Finance managers and partners can quickly set up their approval flows and rules in a web browser. Stay in control on-the-go If you're a landlord, letting agent or property management professional and you're looking for property software that's powerful, connected and works with Xero and QuickBooks Online then talk to us about Arthur Online. We're proud to be an accredited advisor with Arthur Online because it makes life so much easier for our property clients. Analysis on Steroids Futrli is the award-winning add-on partner that takes your business information from Xero or QuickBooks Online and presents it to you in a beautiful, meaningful and easy to understand one page dashboard. Workforce management software made easy. If your staff are out and about on multiple jobs then you need GeoOP. Still using pen and paper to fill out job appointments and order forms, with lengthy phone calls to update field staff? Well, imagine if you could enter those jobs and their details online, so that your staff could automatically see them on their phones? Wouldn’t this make life easier? At TMT Accounting, we know a powerful little app that can do just this. It’s called GeoOP and it will transform the way you run your business. 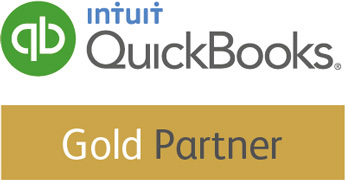 QuickBooks Online is the world's most popular cloud accounting platform for small businesses. Including the top rated mobile app for online accounting, with over 2 million customers around the world. At TMT Accounting we are always looking for ways to make our clients’ lives easier. The first add-on we started using with every client we work with was Receipt Bank, because making life easier is exactly what it does. It's the multi award-winning app that automatically converts all your invoices and receipts into data, making it easy for you send your financial information straight to us. Is scheduling in appointments a key part of your business? We can make life easier for you. We love cloud-based applications at TMT and we’ve found a brilliant time saving device. It’s called Timely and it will transform the way you book appointments. If having an accurate inventory of your stock is vital to the success of your business, then we have something you’ll want to hear about. It’s a powerful piece of software called Unleashed and at TMT Accounting we think it will transform the way you run your business. Are you a business that relies heavily on electronic point-of-sale (EPOS)? And do you want to make your business more efficient and reduce costs? Do you want an EPOS that can travel with you, do you have ‘pop up’ sales? Do you want to see how much has been sold in your shop/restaurant without having to be in store? How much is your time worth? If your business is job focused and time management is essential, then WorkflowMax is the tool you need. WorkflowMax is a software tool that will take the pain out of running your business. A total solution covering all operations from prospecting to quoting, time sheeting to invoicing and everything in between. Running a business should be rewarding, not stressful. We can make things a little easier for you. Let’s start by saving you time and money: meet Xero. Xero is the world’s easiest online accounting system - designed specifically for small to medium sized businesses. It’s all online, so you can work when and where you want to, just login with your PC, Mac or mobile device.